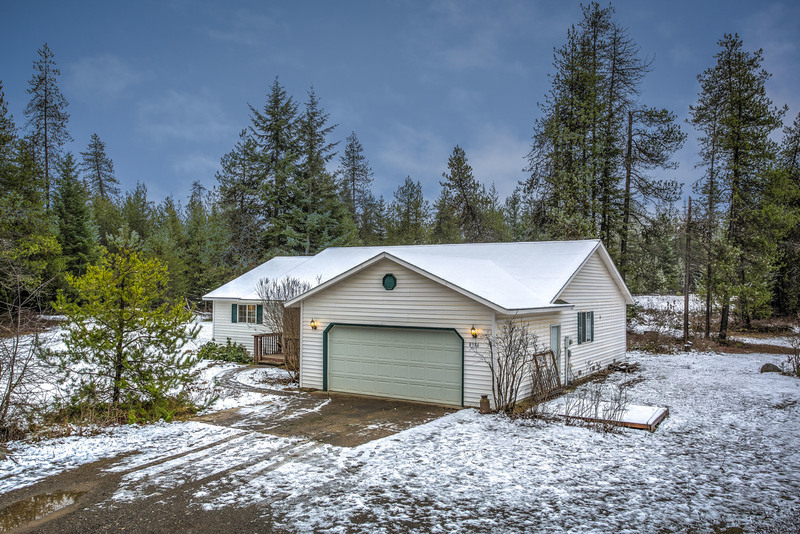 Snow has started to fly here in North Idaho, but that doesn’t mean the real estate market has cooled down! We have some great homes coming on the market, like this one in beautiful Spirit Lake! This 3 bedroom/2 bath single level home is a MUST-SEE, and on 12+ acres! Soak in the peaceful surrounding forest as you walk up to the covered front porch. The spacious living room features vaulted ceilings and extra large bay windows & letting in tons of natural light. Dining room has french doors & another bay window – so much natural light! Open kitchen offers plenty of counterspace, solid wood cabinetry & pantry, plus room for a kitchen island? Lot’s of potential with this! Plenty of room for a shop and whatever else you desire! Master suite features private bathroom & walk-in shower. Laundry room/mudroom with garage access (2-car garage). 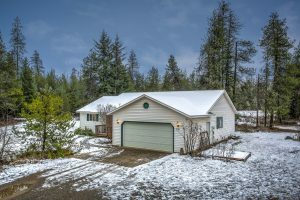 Located in the beautiful Spirit Lake East neighborhood, conveniently located between Sandpoint and Coeur d’Alene, just minutes from Farragut State Park, Lake Pend O’reille, downtown Spirit Lake & Silverwood. 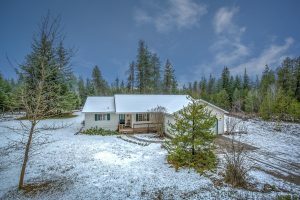 A home like this on so much acreage at this price point is a rare find. Let us know if you would like to schedule a showing before it gets snapped up! I just noticed your inquiry – Sorry for the delay. I will email you right away to find out how we can help! Please tell me more about this or any other horse properties in the area! We are happy to! Karen will be in touch with you to learn more about what you are looking for. This property is still available and she will also be able to tell you all about it! Have a great weekend!